Definitely helps with sleep and to tune out my husbands snoring! Love this app! Apple or the makers of this app won’t give me a refund! Too many excuses on why I can’t get a refund for a purchase I didn’t make. I just wanted my money back!!! Bought the $20 Mega Pack that claims to give you all the packs listed. One of the sounds I was looking forward to from the Nature and Animals pack was the cat purring - which was one that was played when you listen to the samples in that pack. The sound wasn’t in the Mega Pack at all (along with a great many others), and I no longer have the option to go back and purchase the full Nature and Animals pack to get the cat purring. Extremely disappointed!!! Sleep Pillow gives my brain something to listen to during quite times other than the ringing in my ear. It lessens the severity of the ringing. I never write reviews for apps but this one I had to. I’ve been using it for almost 4 years after we moved to a house with central air and I was used to the white noise from a window unit. This has SAVED my sleep and then works better bc I use it when I’m away on vacation too!! Sooo refreshing great app a must !!!!!! I use this App every night!! It helps me to clear my mind and have a great night’s sleep! I was able to make a mix of the noises I want that are a perfect fit for me, even in the free version!! Would HIGHLY recommend!! Good variety of sounds. Looping is very subtle; not noticeable at all. I use it every time I travel. Haven’t had a ton of luck finding free sleep music. Does the job. 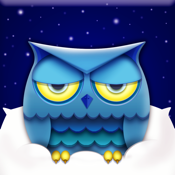 I love to use this app when on the road and away from my large white noise machine. It works great to drown out street noise. I use this app most of my nights it puts me to sleep pretty fast and easy no complaints on my end does the job it is intended for! Great selection of quality nature sounds - THANKS! I got this app and I was not so sure about it at first but it really has been SOOO worth it! I was taking up to 3 hours to fall asleep and now it is just great! I can now fall asleep in about around like 30 minutes at the longest! I note there are no recent reviews or updates. App was as advertised until the new update. Nearly all of the expansion pack sounds disappeared and left just a darkened icon. I contacted support twice by email but no one has gotten back to me. The white noise and fan sounds were the main ones I had used. They did the job but they are now gone. Given the lack of attention to updates and lack of response from app tech support, I would look elsewhere. Love this!! Got it and couldn’t stop using it especially for travel on loud nights! My kids ask for it every night. 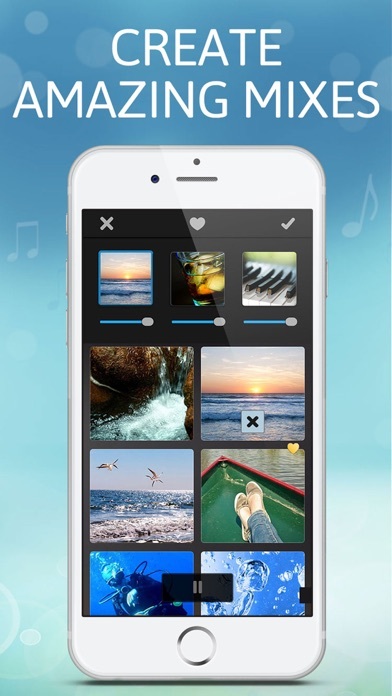 Great app but I wish you offered more free sounds like you did before. Don’t get me wrong I LOVE this app it is just that I had this app before and I bought some stuff on it so I hit restore purchases but it said “sorry cant restore purchases” also I don't have any money to spend on stuff like this so my best option is to delete the app because it doesn't do me any good... but its a great app I really don't want to but I am going to delete it. Helps to drown out noise when need to sleep! This app used to be great. Now it is reduced to far fewer choices! Terrible idea app developer! Restore the great old app! I’m a fan of the variety of the variety of sounds. When I was the hospital after giving birth, I needed white noise. I played this app for two days straight! It didn’t crash📎. It was easy to use. I wish there were just a few more soothing free options. I use the app every night and I always find myself sleeping so peacefully. Could have gotten 5 stars if some of the prices weren't go high. Still going to keep using it ! I use this as a sound screen for when I’m reading or trying to concentrate. Works well! And relaxing. It’s the best thing to fall asleep to! I really like this app because it helps me sleep at night and calm me down, so when I’m having a bad day or something I can just play it and it soothes me. I’m glad I got this app. I think this app is really cool because there has never been an app that could make me fall asleep so fast, I fall asleep in like five minutes!!! This is the BEST app no other can compare! I use this app nightly, and will not travel without it. 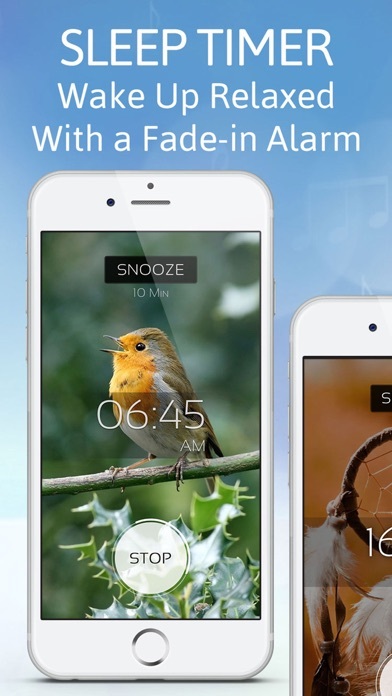 Has really salting music and sounds to help me sleep and meditate. I don’t regret buying this app at all! I have had this app for as long as I can remember and I always get to sleep right away with this app the sounds are relaxing and just what I need for my schedule. Look forward to down time. Love the timer. Only a few free sounds but my favorite is the rain! I use it nightly and set the timer for one hour and voila I’m sound asleep!!!! I’ve used this app for quite awhile and have found it very helpful. It’s also nice to make my own mixes (limited to 3) that work for me. A great feature is the ability to individually increase or decrease the volume on each sound you add in. It would be nice to increase the music loops to a few more notes so they’re not so monotonous and by all means, please add a purring cat! I’ve used this app for my kids and myself and it’s perfect! Highly recommend! The gentle background music and sounds are soothing and relaxing but if you want more choices they aren’t cheap upgrades for an app. Instead of sleeping with the box fan on all night during winter season, I use this app and I don’t get as cold. Haha! But during summer, the fan and the rain noise is nice! Great App!!! I freaking love this app. I can’t fall asleep with out it. Love how I can create my own mixes. My grandson has loved this app since he was a toddler. He’s almost 8 now, and his fav mix still puts him to sleep within minutes. Not only for falling asleep - also helps if I’m stressed or feeling overwhelmed. A few minutes with Sleep Pillow and I’m much calmer. I’ve never once had any technical issues with the app. Definitely highly recommend this app. Can’t sleep without it ! I love the ocean sound!! I usually have a hard time getting to sleep. I’ll be up until 3am tossing and turning just listening to music. It was weird not listening to music for once. I put the rain sound on and I actually slept for 8 hours, woke up at 8;30am refreshed. Might purchase the next version. Used to have the worst time falling asleep & I have now been using this app for 2 years every night and it has never done me wrong! 10/10 would recommend. Love this app. Useful for travel. I use it every night and it helps me relax and sleep. Thank you! This app is so good 😊 I at first was thinking 🤔 that this app was going to be great all of the way because my mother recommended it to me. Now I truly think it’s amassing . Now I can listen to either rain, ocean, storms, nature, whales 🐋 and a lot more . This app is the best. I have been using Sleepy pillow since my four year old son was born. Our one year old loves it too. I really helps to muffle the sound during their naps and relax every one at bedtime. I have the ‘free version ‘ of this app, & it’s good for what I use it for. I would and have already recommended this app to some people! Over all, a very helpful tool to assist you in falling asleep. There are good sound choices and you can switch it up. However, If I pay for an app I don’t expect to have to pay for so many more upgrades at steep prices. We understand you must be struggling to keep the app running, but that is quite absurd. Thank you. I spent a week aboard a boat for two weeks and was having trouble sleeping when I got back home. The soothing wave sounds does the trick. 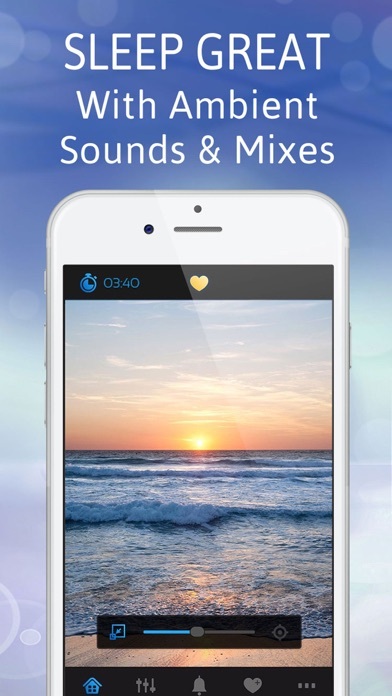 Very simple to use - a variety of sounds to suit several occasions, relaxation, meditation and sleep. I have used for yrs! Have tried others that have more features - but I prefer the basic simple steps to use. Perfectly satisfied with the quality and clarity of the sounds from Sleep Pillow! I honestly have not had a bad nights sleep since I started using it. I look forward to going to bed now. This helps my kids sleep better! They love the rain sound and I do too! I use this app every night. I have insomnia and it’s literally the only thing that can calm my mind to rest and fall asleep peacefully. Thank you! Good sleep when I forget my fan! Sounds could have more variety! This app is awesome and makes me fall asleep so quickly and when I’m scared I turn it on and it makes me feel so much better! Thank you sleep pillow! Your amazing! One thing you might want to add though are more sleep sounds but other than that keep up the great work! Sleep Pillow offers a variety of sounds for helping the user fall asleep. I would give this app 2 stars out of 5 because the selection of sounds is very minimal. Love this free app. They give you like 8 sounds for free. I use 3 of them. They offer a bunch of features for purchase I’ve never messed with. Be careful, in app purchase pop up without asking making unwanted purchases. Don’t call it white noise if it’s not in the free version. I understand you need to get paid but it’s blatant false advertising. I use this app all the time when I need to take a nap but my mind is racing. Helps calm my thoughts and puts me to sleep everything. Great app!! I use on my phone everywhere. Great sound machine for absolutely no money. How can you argue? This app has helped me sleep and meditate many times. Very soothing! When you’re desperate, the free sounds can get you through the night. They’re not the highest quality, but they’re good enough I suppose. On the other hand, the sounds you can purchase are kind of ridiculous in terms of cost, and if you click in hopes of hearing a sample you’re just as likely to accidentally trigger a purchase (fortunately I always require my login info for purchases, so that saved me). Honestly...it’s just okay. But okay is good enough if tired enough. Sleep app awesome for travel!!!! 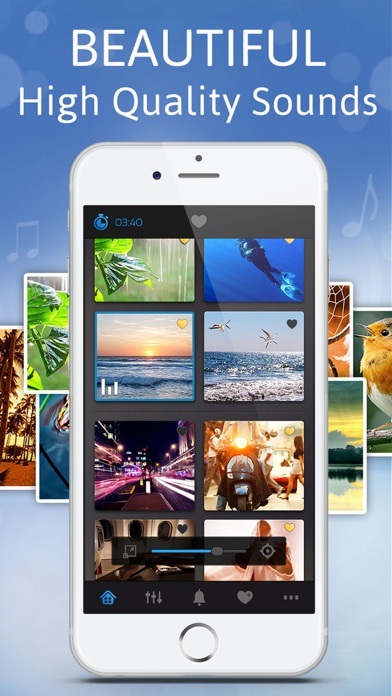 Best mobile app for plane, hotel and such for adults and kids when you for get your sound machine. Should have more sound options though. The owl looks mad rather than sleepy. We love this app- it has come in handy with my daughter and also myself when I slept in the room with some snorers 😂 some nights this app is the only saving grace to get my daughter to bed! I’ve had this app for years. I highly recommend. I’ve been using this to fall asleep for a few weeks now. I love the sound chooses and the timer. The calmness of this app is great. Just so relaxing you can’t believe until you give it a try. The rain sound puts me to sleep every time! Love it!! Amazing free app. Use it every night for myself and during naps for my kids. The noise doesn’t just cut off when the time is up, it slowly fades away. A nice feature. Helps me fall asleep so easily. All I need to do is turn on the rain and I’m out. I don’t knowWhat I would do without this app. The rain sound is perfect to help me go to sleep and I use it for my son as well. The best part of the app is the fact that the sound stays on and you can still use other apps and surf the Internet and use your phone while the sound is running. It’s great for when I’m putting my little son to bed and need white noise. I put the one of the sound noises on and I instantly fell asleep in like 2 minutes!!!! And i sleep better because of it also too! You will regret not getting this app if you don't have it! This is an awesome app but I do wish that you would have more under the sea sounds for free. In 2016 I purchased Fitness22’s Meditation and Relaxation app. After my iPad updated recently all sound (which I paid to unlock all of them) were missing so none of my custom sounds would work. I tried to restore all the sounds the app failed/crashed and hasn’t worked since. The Original App no longer shows up in the App Store even though it shows up in my previous downloaded app list. So then I discovered that Fitness made a completely new App that is exactly the same as the original. Of course I can’t restore your purchases because it is a different App, even though it really is the same App. The only difference is the name and the thumbnail image, otherwise once in the App it appears and functions exactly the same. So a new way to screw people who have paid to fully unlock all features of an App is to terminate that App and develop a new one to make people pay all over agin. I’ve use this app through living with college roommates, to hotels traveling the world and just an average night where I need to fall asleep quickly! I use it mostly to block out other noises and to fall asleep in peace. There’s different sounds for your specific you need and I am so grateful for this app! This helps my sleep so much at night! All of the options are so relaxing. This app has been a wonderful lifesaver when I am traveling because it helps me fall asleep in minutes and keeps me asleep so I am well rested in the mornings and for the upcoming day ahead of me. I often use the water sounds like the rain and ocean or the camp fire to bring so peace when on the all night red eye flight. I would strongly recommend this app for anyone who travels a lot and goes on red eyes of for anyone who needs some noise when they sleep. I’m the type that has to have a fan on while I sleep. I can’t stand it when I’m in room that is too quiet! SO I downloaded this app to help me sleep more comfortably & It’s so relaxing! Stays on throughout the whole night, just make sure your phone is charging so it doesn’t die on you, while playing the sleep app! I love it! And I also have many other people using this app too! Download it now! Sleep to the sound of rain. Love it. Every night I use this app. It helps me fall asleep. I would definitely recommend!